I am intrigued by correctional nursing practice in other countries. 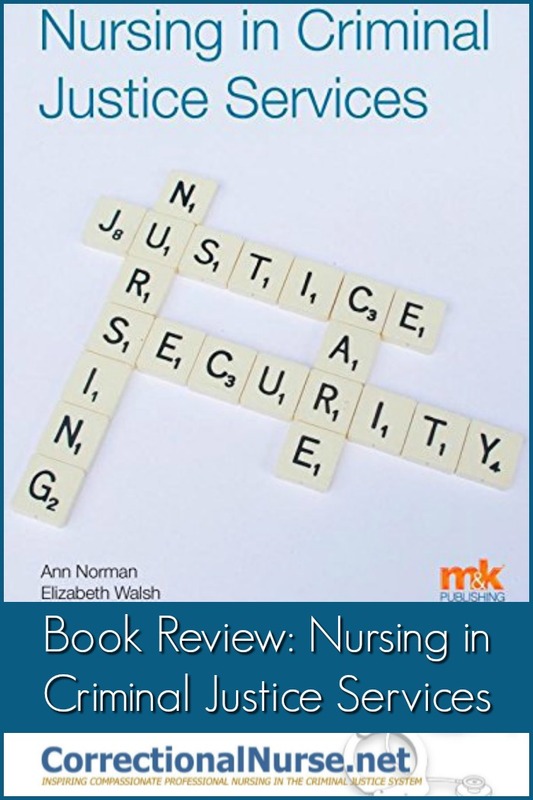 So, It was with great interest that I obtained a review copy of “Nursing in Criminal Justice Services” edited by UK correctional nurse experts Ann Norman and Elizabeth Walsh. I interviewed Ann on a prior Correctional Nursing Today Podcast and met both Ann and Elizabeth at the last Custody and Caring Conference in Saskatchewan, Canada. Their book lifts the hood (or should I say bonnet?) on the inner workings of UK criminal justice services and the concerns of nurses working in the system. It provides insight into the similarities and differences in practice between US and UK systems and provides food for thought to apply to correctional nursing in the U.S. Here is my take on some of the gems found in the thirteen chapters of this book. I remember well our discussions about the title of our specialty on the ANA Taskforce while revising the Correctional Nursing Scope and Standards of Practice a couple years back. We settled on the term “Correctional Nursing” while defining the specialty as being in the Criminal Justice System. The evolution of practice in Britain was a bit different; as the terms for locations in the criminal justice system are different. However, it seems that UK correctional nurses are “Nurses in Criminal Justice Services” and that includes subsets like custody nurses (jail equivalent), prison nurses, and immigration centre nurses. There seems to be some continued discussion on the term for this specialty nursing practice, though. The authors of the chapter on “Professional attitudes and behaviors” (Chapter 12) used the term “secure care workers” and the author for the chapter “Custodial caritas: Beyond rhetoric in caring and custody” (Ch8) also used the term ‘custodial’. I assume that comes from having patients ‘in custody’ but I’m not sure I’m happy with being custodial. It has the feel of mopping floors in American parlance. Of note is the obvious evolution of health care in the UK criminal justice system toward a patient focus and away from a prisoner focus. Editors Norman and Walsh describe in their introduction (Chapter 1) that prison health care has moved from management through HM (Her Majesty’s) Prison Service to the National Health Service (NHS). A move that aligns with general population health care management in the UK and, therefore, creates patient focus. 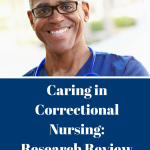 We have seen similar movement over the last decade in US correctional nursing practice as nurses in jails and prisons struggle with the tension, as described in Chapter 1, of “prisoner and patient, custody and care, security and therapy” (pg. 2). 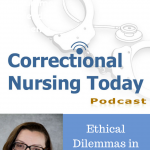 A dialog across the pond on these common issues might be fruitful for nurses in our respective justice systems. It is no surprise that the patient population in the UK criminal justice system is aging along with those in the US system. Nor is it surprising that there is increasing concern for mental illness services as this segment of the incarcerated population is growing, as well. Other vulnerable groups such as women, youth, and children are addressed. Of note is an increasing emphasis on disability. 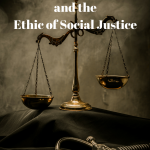 Chapter 9 discusses “Caring for vulnerable people: Intellectual disability in the criminal justice system”. We would do well to be more cognizant of the vulnerable nature of those in the US system who have learning disabilities, head injury, and low literacy. The struggle to care is given a fresh (or should I say Freshwater?) perspective in the previously mentioned Chapter 8 on custodial caritas by author Dawn Freshwater. I was moved by her keynote at the 2013 Custody and Caring Conference where she shared the main themes of this chapter. Here she emphasizes the need for compassion and competence in our nursing practice and highlights the dynamics of a caring relationship. I must admit, this gem is my favorite chapter in the book and has provided many a moment of reflection on the caring/custody friction we all feel. 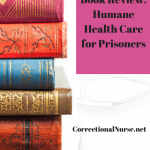 Finally, I enjoyed reading about the connection correctional nurses have with some areas we might think of as peripheral to our practice. Chapter 4 on “Forensic nurse examiners: Caring for victims of sexual assault”, Chapter 7 “On the out: Supporting offenders in the community”, and Chapter 11 “Learning opportunities from inquests” got me thinking about our need to ‘think outside the box (or bars?) about our correctional nursing practice. While nursing in the UK criminal justice system may have ‘grown up’ under different conditions, our key concerns as professional nurses within the system remains the same. The patient population and unique work environment create both opportunities and barriers for meaningful patient outcomes. The seventeen chapter contributors to the book “Nursing in Criminal Justice Services” have helped to clarify these issues for British nurses and, by doing so, provide an interesting reading opportunity for us all. Do put this book on your reading list! 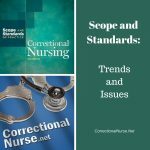 What are your thoughts on correctional nursing practice in other countries? Share your ideas in the comments section of this post. This sounds like a fascinating read. Thanks for sharing this review. I am out to find it right now. Interesting. Thanks for letting us know We can purchase the book. I have several new medical staff and they need all the exposure they can get. What struck me the most is the term Vulnerable Patient. There is a lot of caring in that description and I agree we could use more focus on vulnerability. Thanks for the review. Seems like correctional health care is advancing around the world with the same issues we are.